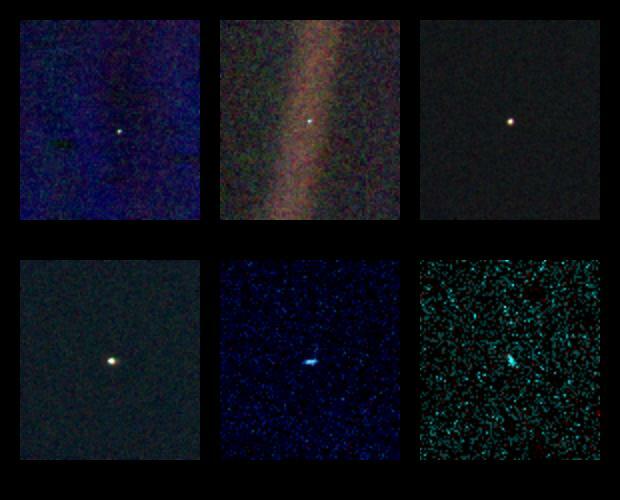 From that distance, over 4 billion miles from the Sun, the planets each appear as little more than a bright dot against the vastness of interplanetary space. *Update Feb. 14, 2016: Voyager 1 is currently 20,102,119,400 km away from us…that’s over 134 times the distance between the Sun and Earth. Launched in 1977, Voyager 1 is the most distant human-made object in existence. Thanks. Great article and beautiful pics!